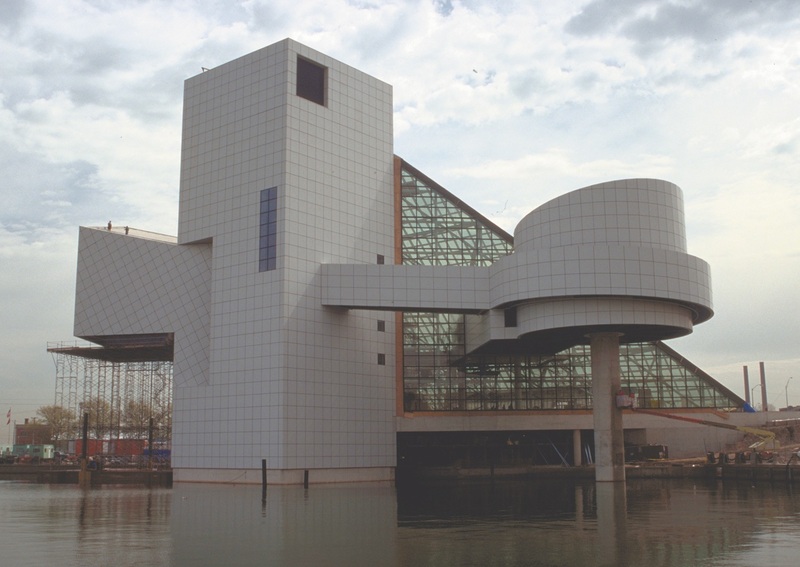 Rock & Roll Hall of Fame and Museum - American Hydrotech, Inc.
I.M Pei is linked to a legacy of architectural accomplishment that spans many decades and continents. 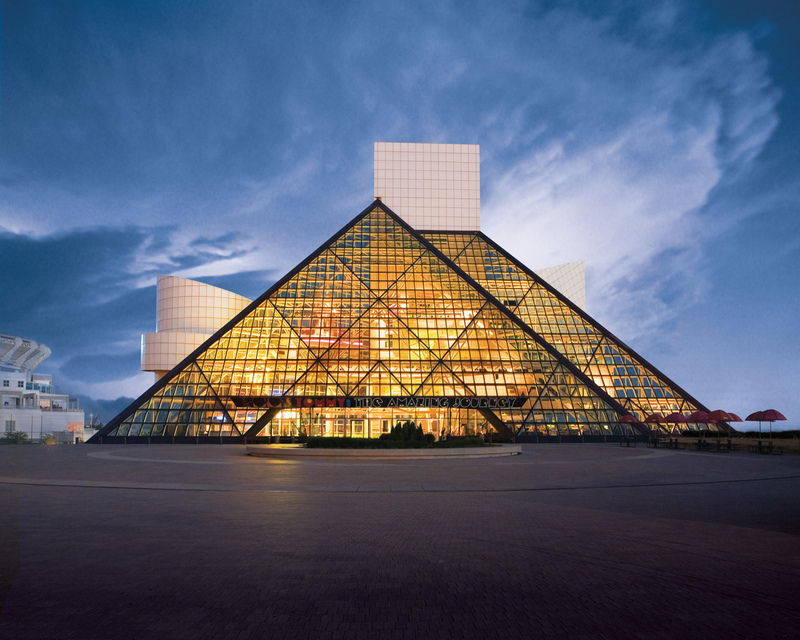 Not least among them is Cleveland's Rock and Roll Hall of Fame and Museum, a design that combines a glass pyramid-shaped exhibit hall with a 165 foot tower. Situated adjacent to, and in some cases literally over, Lake Erie, Pei's creativity was quickly transformed into a complex high visibility and tightly timed construction challenge. These factors, along with the museum's intended longevity made roofing and waterproofing critical. Because the strong performance record of American Hydrotech's MM6125® has made Pei into a loyal supporter - exemplified by his 25+ year history specifying MM6125® - the product choice seemed obvious. 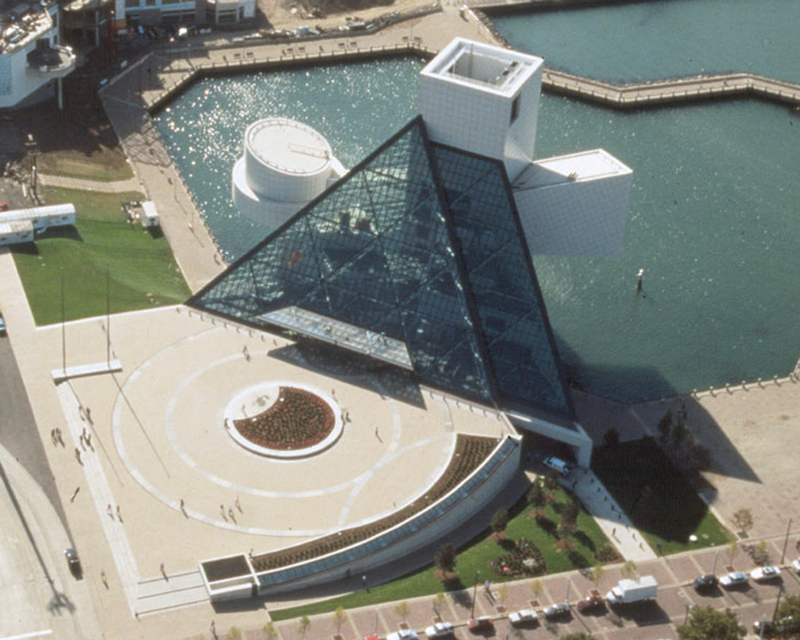 MM6125's® tenacious bond to substrate, straightforward detailing and highly skilled applicator were the standard of quality for the project's 66,000 square feet of plaza waterproofing - and for Pei's 17,700 square foot roof, with its steep 4:12 slope and numerous penetrations. In fact, Hydrotech's Ultimate Assembly® with architectural pavers covered the entire roof as well. In spite of the job's complexity, the museum was completed successfully - a tribute to Pei's creation, the building team, and Industrial First's expertise with MM6125®, which has provided the enduring protection for which it is so well known.